A study conducted by the Centers for Disease Control in 2006 and 2007 found that 70 people got sick from handling dry dog food that had been contaminated with salmonella, reported the Wall Street Journal. So the FDA has launched a yearlong test of dry pet foods, treats and supplements sold at grocery stores and large retailers like Target, Walmart, Petsmart and Petco. The analysis will include samples of food for dogs, cats, rabbits, reptiles, birds, gerbils, guinea pigs and other animals — all of which can also become sick from contaminated food. 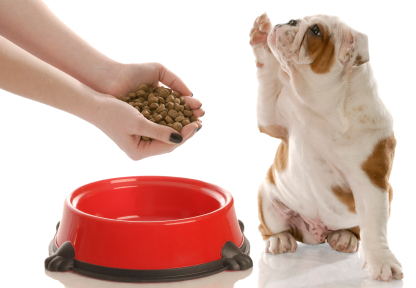 Since people often contract the illness by handling pet food and then either touching their mouths or preparing their own food, the CDC recommends washing your hands with warm soap and water for at least 20 seconds after coming in contact with any type of pet food. The CDC also advises owners to regularly clean pet bowls with soap and hot water, and keep children under the age of 5 from touching pet bowls, food or treats.